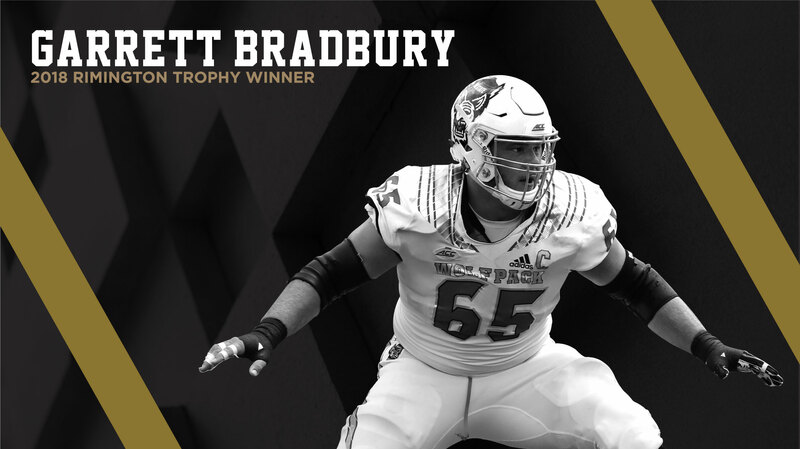 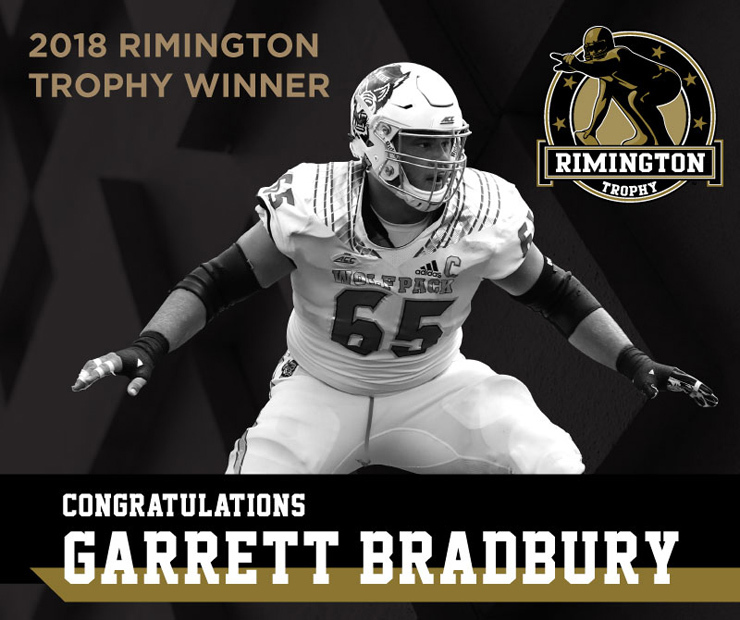 Garrett Bradbury, RS Graduate of NC State, was awarded the Rimington Trophy, given to the nation’s most outstanding center, on Thursday, December 6, 2018 at the ESPNU Red Carpet Show preceding the ESPN Home Depot College Football Awards Show. 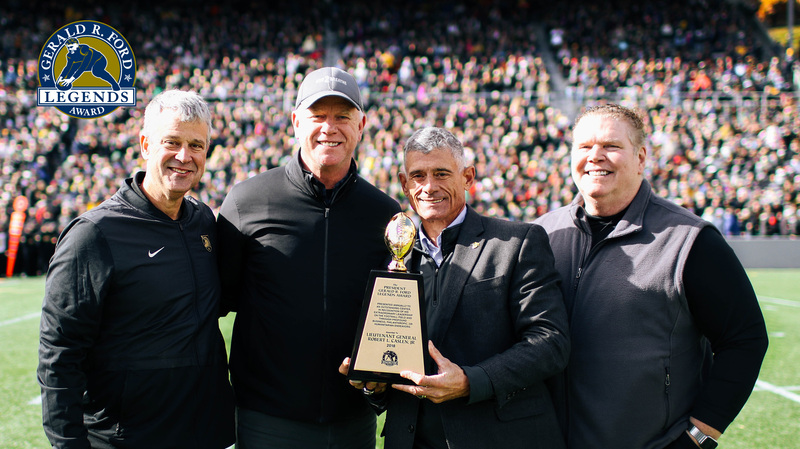 The Rimington Trophy Committee Proudly Announced its 2018 Gerald R. Ford Legends Award Recipient, Lieutenant General (Ret) Robert L. Caslen, Jr. 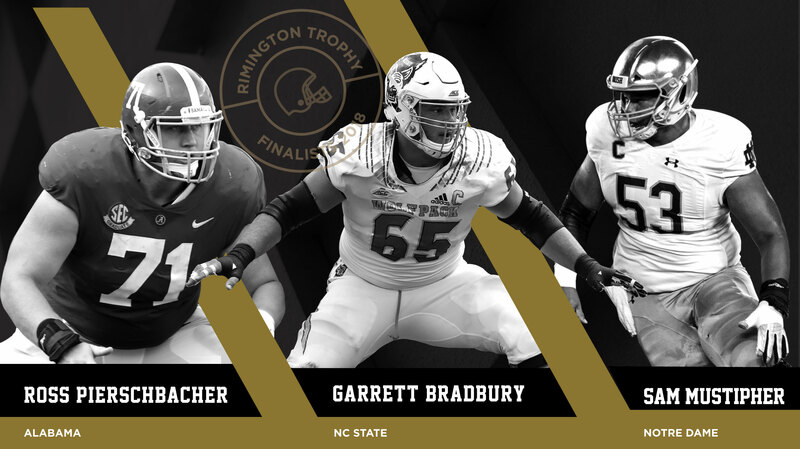 The Rimington Trophy Committee announces its 2018 Fall Watch List, which includes the following centers in Division I football. 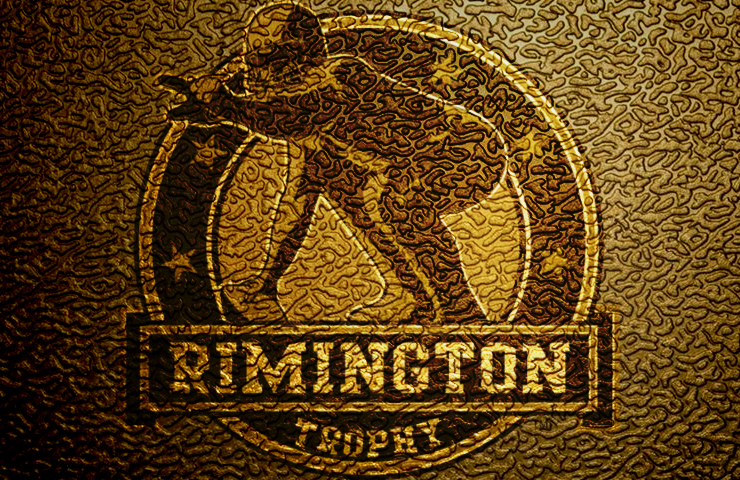 The Rimington Trophy Committee has released its 2018 Spring Watch List, which includes the following centers in Division I football.